Concept Design: We understand all about council authority, regulatory and covenant requirements to determine the feasibility of your project. We will work to your brief to realise your vision. Assess site parameters and site yield. Liaise with town planners & quantity surveyors. Attend Council pre lodgement meetings. Inspect and provide analysis of your site. Provide site planning and 3D concept modelling. 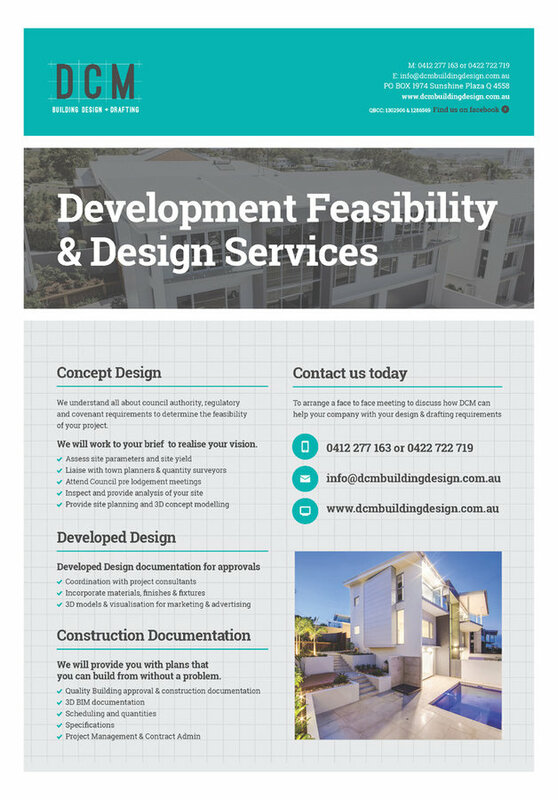 Developed Design: Developed Design documentation for approvals. Coordination with project consultants. Incorporate materials, finishes & fixtures. 3D models & visualisation for client approval, marketing & advertising. Construction Documentation: We will provide you with plans that you can build from without a problem. Quality Building approval & construction documentation. 3D BIM documentation. Scheduling and quantities. Specifications. Project Management & Contract Admin.